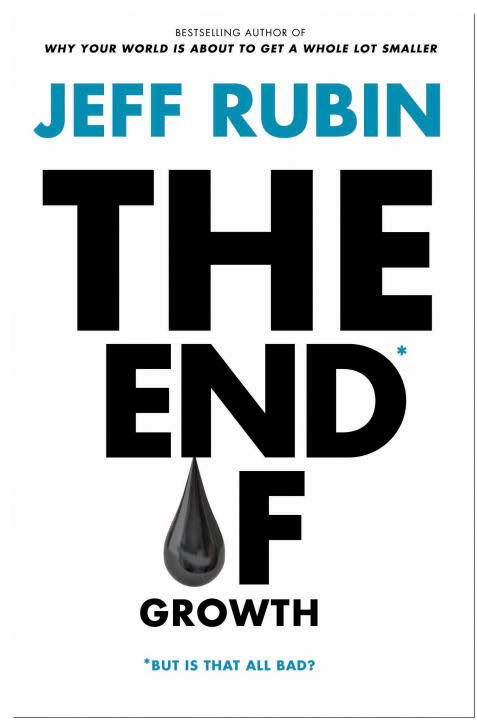 Jeff Rubin’s second book, “The End of Growth”, cont inues in the tradition of “Why Your World is About to Get a Lot Smaller”. Rubin, the former chief economist of the Canadian Imperial Bank of Commerce, explores the implication of peak oil in the first book. This time around, he focuses more on the world’s governments obsession with growth, and the fact that, despite fracking, the tar sands, and Venezula’s vast stores of heavy oil, cheap oil is running out. One of the hopeful points in the book is Rubin’s critique of the IPCC report on climate change. While he (wisely) doesn’t dispute the science behind carbon caused global warming, he does point out that the IPCC’s report bases their predictions partly on the world burning at least 3 times more coal than is actually available in current reserves. Based on historical overestimation of coal reserves, Rubin speculates that they may actually be overestimating the amount of coal that is available to be burned by as much as 6 times. Easy to read; well researched. All in all, a great book. This entry was posted in books and tagged book, economics, fracking, IPCC, jeff rubin, peak oil, review, tar sands, the end of growth. Bookmark the permalink.